Love it or hate it, Black Friday, Small Business Saturday and Cyber Monday are back. And whether you’re checking names off your gift list or shopping for yourself, there are a number of holiday sales to shop, both in Richmond and nationally. 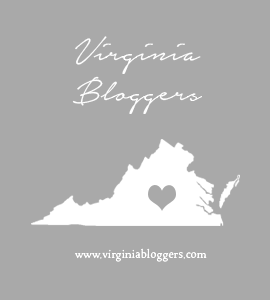 These are my Richmond Small Business Saturday and national Black Friday and Cyber Monday sale picks for 2018. Also while you’re shopping, if you haven’t signed up for Ebates, this is the optimal time. You sign up, click through the website to shop, and earn cash back on your purchases. Right now Kate Spade is offering 10% cash back, for example. If you want to sign up, use my referral link. Save 15% with code THANKFUL15 through Sunday. Save 15% off locally made leather through Saturday with code SHOPSTUFFED. Enjoy 25% off everything through Sunday and get a free gift with code BFGIFT. The Smokey Crystal Eye Shadow Palette would look good on a variety of skin tones. Hello, fun gift! Enjoy 15% off the entire store on Black Friday and 10% off the entire store on Small Business Saturday. Save 20% off everything today through Black Friday with code MADHOUSE online or in-store. Also, get a free weekender with your $39 purchase with code FREEBIE. Enjoy 30% off all black bags and accessories through Sunday. I’d go for this Rachel Fold-Over Clutch and add the monogram for $15. Enjoy 30% off full-price styles and an extra 10% off sale styles. Is it finally time to get this Belmont Petrol Tote I love? Get 40-50% off sitewide with code ADD2CART. Of course, these half off Mary Jane Flats are speaking my langauge and they are an extra 50% off. Enjoy 25% percent off your purchase with code GRATEFUL. Surprise sale continues through Saturday at 11:59 p.m. Shop up to 75% off clothing, shoes, handbags, and accessories. Of course you might go for the purses, but don’t forget to scope the jewelry. These Gumdrops Studs are a classic gift anyone will love. The regular site is also 30% off with code GIVECHEER. The Kate Spade Outlet also has a bunch of crazy sales going on through Tuesday, November 27. Enjoy 10% off all in-store purchases on Black Friday and Small Business Saturday. Take 25% off everything through Sunday with code GRACIAS25. This Selma dress will be perfect for many seasons. Enjoy 30% off sitewide, plus $5 shipping. Make sure to check out the sale page to double down on deals. Enjoy 25% off every pair of shoes through the weekend. Enjoy 20% off your order through November 27. Enjoy $50 off your $200 purchase in-stores and online with code THANKFUL. The promo includes fragrance and beauty. I think last year I used this as my excuse to finally buy Chantecaille mascara for me and for my mom as a gift. Enjoy 25% off regular price apparel and an additional 50% off all sale merchandise Friday through Sunday. Shop specials for $15 and under through Sunday. Enjoy 30% off the shop and free shipping through Sunday. Prices are marked on the site. Enjoy 40% off select styles including sale using code SHOPBLKFRI. All sale purchases are final. Sale ends Sunday. I’m feeling tempted by this sparkly Teddy Tunic that looks both festive and comfy. Enjoy 30% off everything with code 36760 through Tuesday. Has anyone tried their shaping leggings? Enjoy 20% off everything through Monday. It’s time to finally splurge on the leggings or grab some shapers for your slinky holiday dress. 30% off the entire website online through Sunday. No code needed. Enjoy 30% off your purchase of $250 or more through Monday with code THANKS, plus a host of items are already marked down. I might have had to order the McGraw Metallic Tote. Save 20% off all purchases, 25% off orders over $500 and 30% off orders over $1000 with code GOWILD. Enjoy 30% off coats in-store and online with BFCOATS30 on Friday. On Saturday, it’s 25% off accessories with code SBS25. And on Cyber Monday, enjoy 25% off denim with code DENIM25. Enjoy 20% off on Black Friday. I might make a stop for the Port Cask Finished Rum. Save 20% off your purchase of $100 or more on Black Friday. Stock up for the holiday season! Join the free Rewards Club and get 20% off your $50 purchase with code HOLIDAY. I think I’m splurging on an engraved, personalized lipstick.